The Meadow Fresh New Zealand Barista Championship at the weekend was a fantastic event. We believe the knowledge, skill and comradery displayed by the competitors is a wonderful example of how the NZ industry is in great hands. Unfortunately, a competitor in the top six wasn’t able to compete via an honest oversight, as per the rules set by the World Coffee Events, and we, as a unified Association have a duty to rectify this issue. 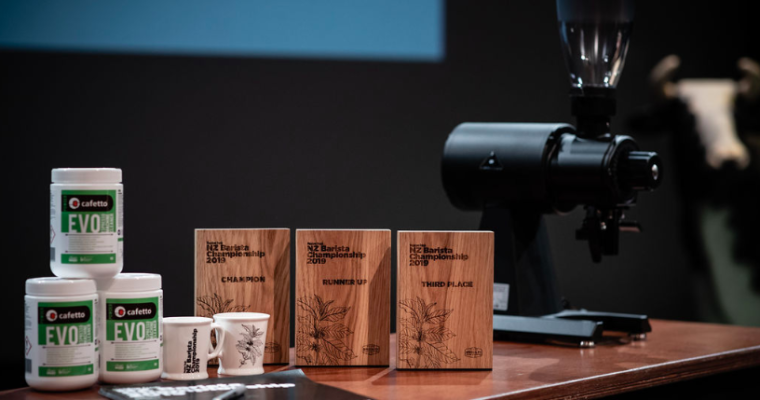 We are now awarding Second place to Heesun Christina Lee and Third place and Best Newcomer to Kenneth Te of Society Coffee in Auckland. We thank everyone involved again in running a fantastic world-class event and hope to see you all soon. Once again, thank you and congratulations to everyone involved. Let us all get behind Dove as he flies to Boston to the WBC this April.